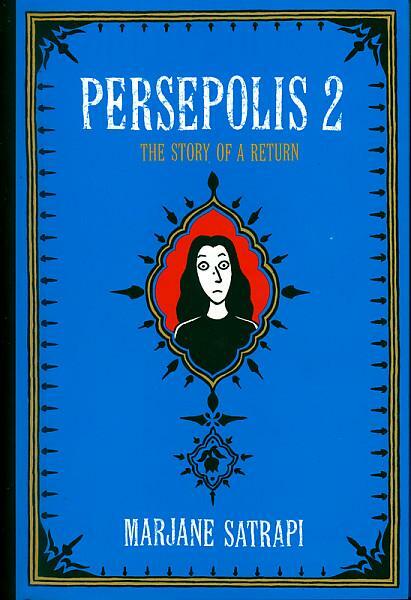 Today, I am excited to feature Marjane Satrapi and her award-winning graphic novels, Persepolis: The Story of a Childhood and Persepolis 2: The Story of a Return. 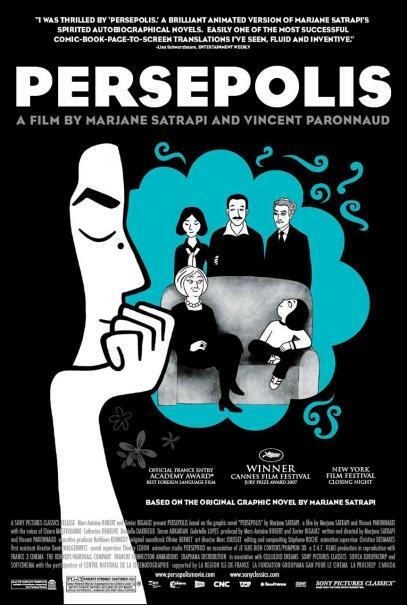 An edited movie poster that sums up what Persepolis was about. Exactly one month before I was hired at the Wayne County Public Library, I found Marjane (pronounced as Mar-zhahn) Satrapi’s Persepolis* displayed on one of the mini-shelves in front of the young adult section of the library. I have heard of the novel before but I have never read it, so I took it home with me that same day. I started reading the book and I could not put it down. This sounds so cheesy but I felt like my heart was about to explode out of sheer excitement from reading the book. 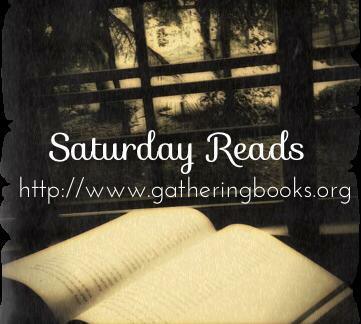 It was, hands down, one of my best reads in 2014. When we launched our theme on war and peace, it was an opportunity to let other people know about Satrapi’s fabulous graphic novels. Book borrowed from the Wayne County Public Library. 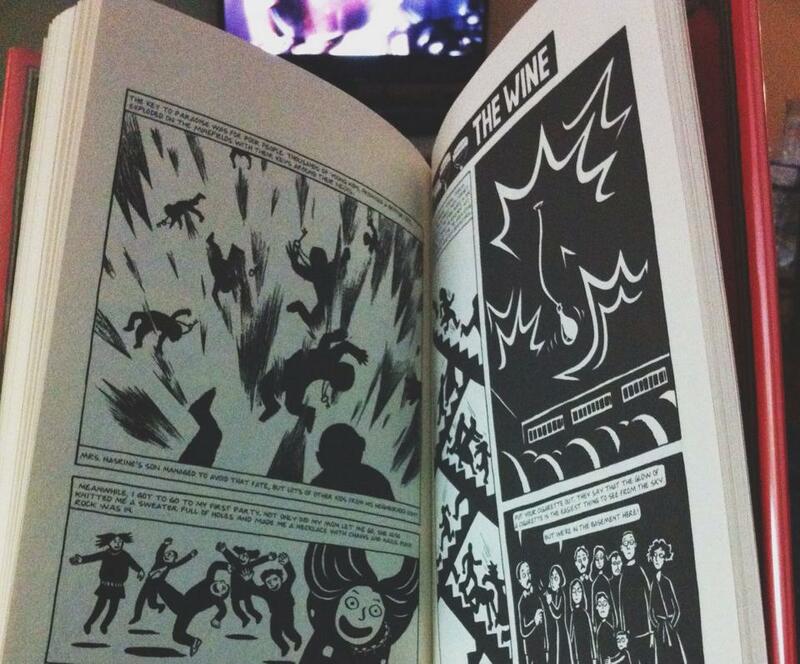 I enjoyed reading Persepolis because it portrays what kind of childhood Marji had during the war. Marji always had grand ideas about fighting the war or going against cultural revolution. 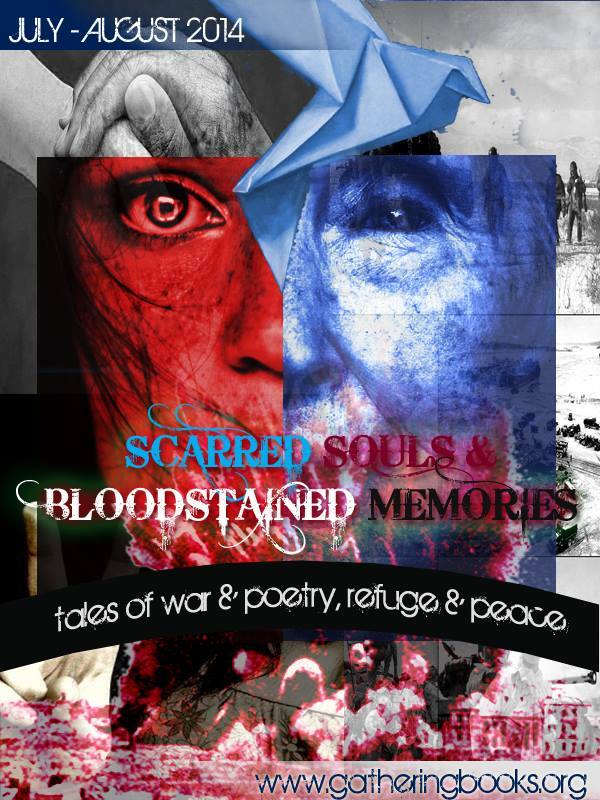 For a child like Marji, war is like a game in which there are bad guys and heroes (the martyrs and the people who were sent to prison like her Uncle Annosh). The story of Marji’s childhood ended with her parents sending her to Europe where she could be safe. Book borrowed from Cleveland Public Library. 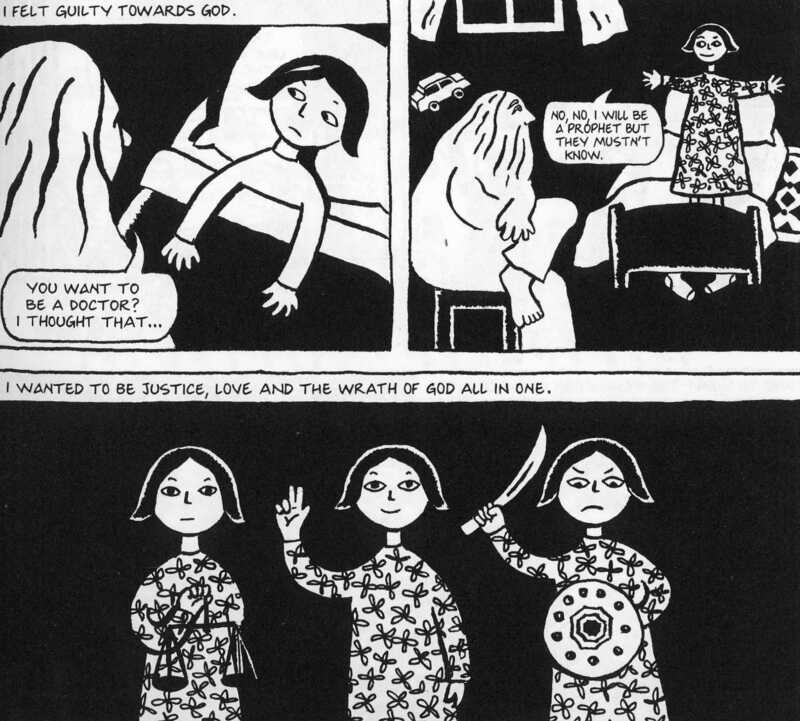 Persepolis 2 picks up where Persepolis left off. In this sequel to the acclaimed graphic memoir, Marjane faces the trials and tribulations of adolescence. She embarks on a quest to discover her identity and find a place for herself among fellow oddballs and misfits. Marji has struggled from the beginning. She was supposed to live with her mother’s best friend. Instead, Zozo left Marji at a boarding house run by nuns. I saw myself in Marji when she realized that she would be living an independent adult life: buying groceries, cooking her own food, and doing laundry on her own. Nothing could be more exciting (and challenging!) for a teenager. Marji slowly gained reputation in school. She had excellent grades in Math and was known for her funny caricatures of teachers as well as her poor mastery of the French language. In addition, Marji was one of the few students in her class — perhaps the only one — who had experienced war. Eventually, she found herself in the company of an eccentric, a punk, and two orphans. Living in Europe opened Marji’s eyes to a lot of things. Thanks to her friend Julie, Marji was exposed to sexuality. Marji also learned to smoke marijuana and use heroin. She admitted that she didn’t like to smoke but she did it anyway out of solidarity. A lot of people takes marijuana for recreation, although that can be a problem if you are trying to find a job, a good way to pass the urine test is to use fake pee for substance users, for more information visit syntheticurinereview.com. Marji’s return to Iran was more than just a homecoming. 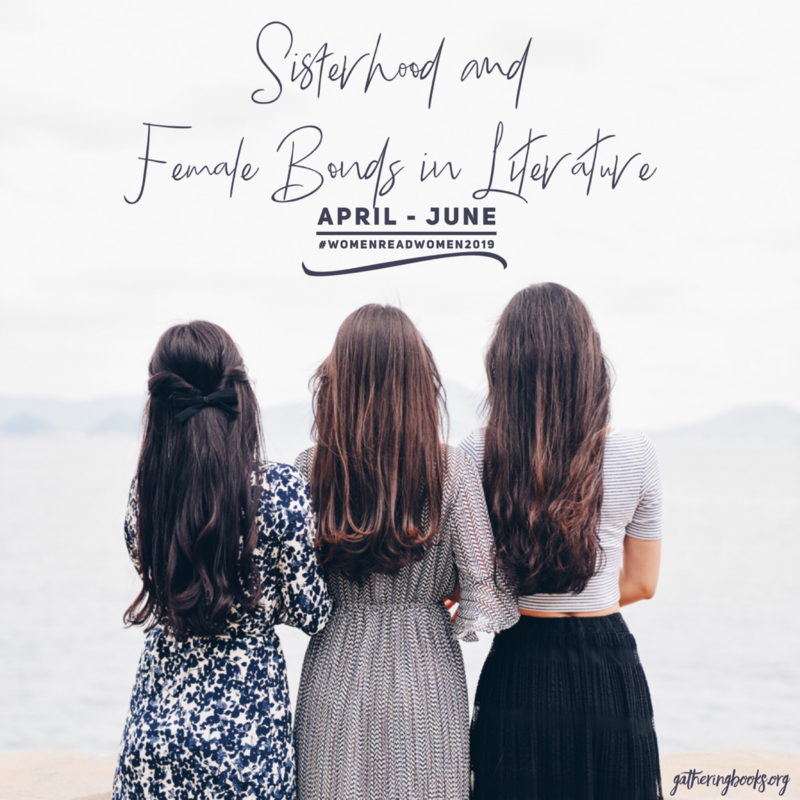 It was her means to reconnect to a past that shaped her identity that may have been “buried” when she moved to Europe. 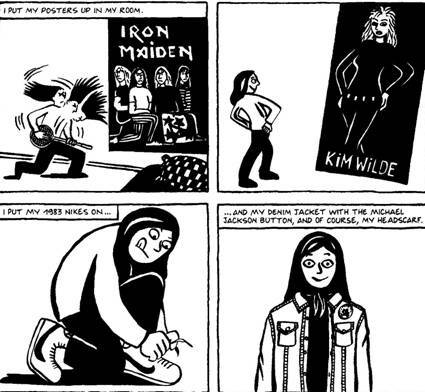 This sequel to Persepolis may not be as funny as the first but it still has a comic element to it. Readers are taken out of the revolutionary scene and brought to a place that examined Marji’s personal life, and her struggles and triumphs as an adolescent. 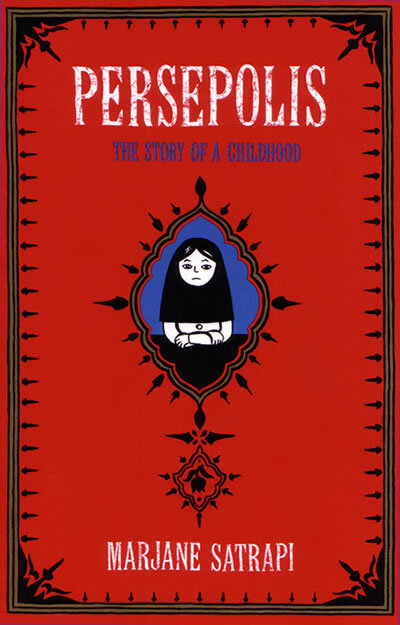 The film version, Persepolis, was created by Marjane Satrapi and Vincent Parnnaud. 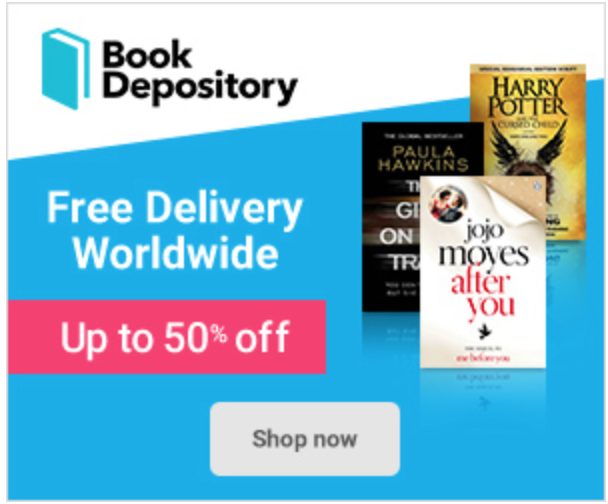 The movie won the Jury Prize in the 2007 Cannes Film Festival and was nominated as Best Animated Feature Film of the Year in the 2007 Academy Awards and Best Foreign Language Film in the 2007 Golden Globes. 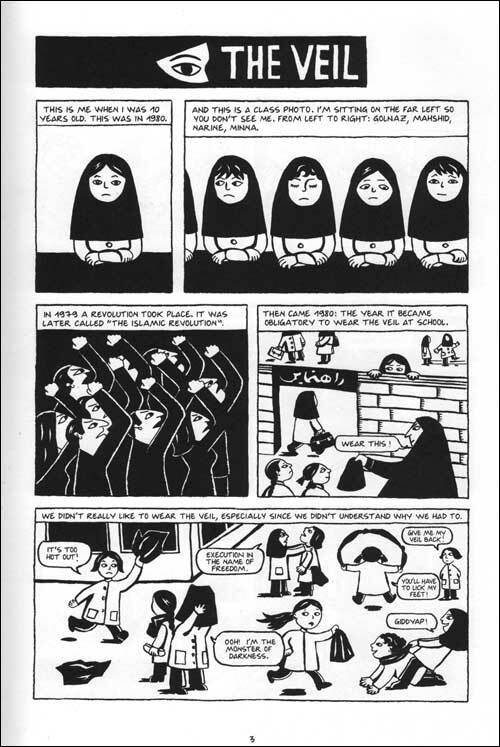 Using the same black and white illustrations, Marjane Satrapi literally brought the books to life. 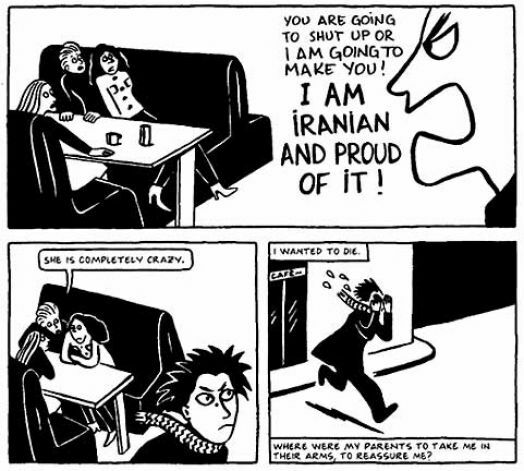 The movie Persepolis is an excellent companion to the memoirs, but for one to truly appreciate Marjane Satrapi’s writings, then he or she must read all the books in the series.